Behindwoods brings you the Top 10 songs of the week (February 13th - February 19th). The ratings are based on the Aircheck performance of the songs in Chennai's FMs. #FLASHNEWS: Vijayakanth to contest DMDK alone in TN Assembly polls! Theri and Iru Mugan on the same date! This Valentine Vijay Sethupathi's Ka Ka Ka Po Joins With Jayam Ravi's Mirudhan, Srikanth's Sowkarpettai And Siddharth's Jil Jung Juk. 3 Composers Come Together For Siddharth's Jil Jung Juk! Siddharth's Jil Jung Juk To Hit The Screens On 25th December. Ritika Singh To Team Up With Vijay Sethupathi Next! 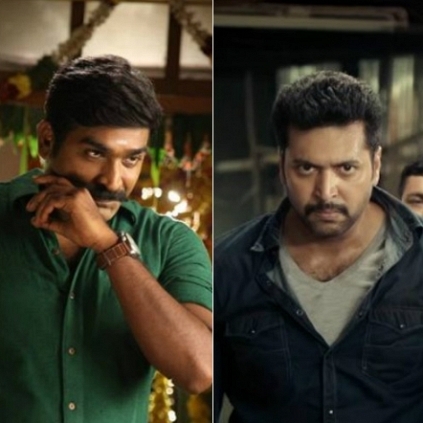 Sethupathi - Is He Reliable? People looking for online information on Behindwoods Top 10 Songs, Jil Jung Juk, Miruthan, Sethupathi will find this news story useful.